3. How Much Work Do You Want Done For You? 4. How Much Rowing Machine Space Do You Have? 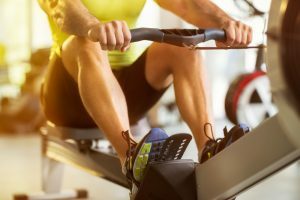 Welcome to my list of the best rowing machines for 2018 – 2019! This is going to be an examination of the top 10 rowing machines I’ve reviewed this year, and the benefits and drawbacks of each one as I’ve seen when using them. An indoor rowing machine is any workout machine that replicates the rowing action of an oar-powered boat. The motion is simple, both hands begin far forward on the grips of the “oars” and then are pulled back against resistance, before returning to the forward, resting position. This kind of exercise is great for the arms and upper body, as well as strengthening the back and leg muscles. It’s a full body workout that combines lean muscle building with opportunities for some truly intense cardio. 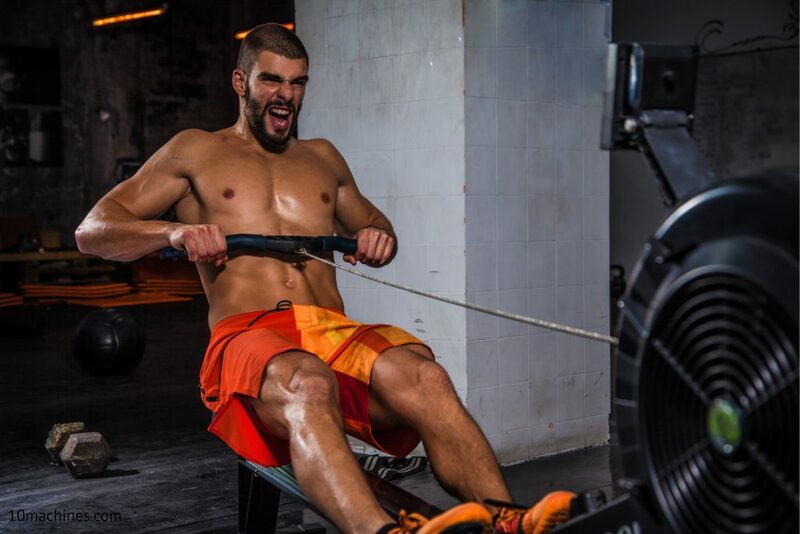 Here are our 3 top rower picks the can help you choose the best rowing machine for your needs. When it comes to exercising, my favorite is to use a rowing machine for home fitness. As a kid, I would go rowing in a small fishing pond my granddad had on his property, and I just loved pushing my boat around the water. I do not have a lake where I live, they aren’t that common in Southern California, but I still love to row, so I like to use my favorite rowing machine. Rowing machines are absolutely great from a workout perspective. They are high-resistance and low impact, making them an extremely comfortable sort of workout for me. I got into working out because I needed to relieve sciatica and knee pain. 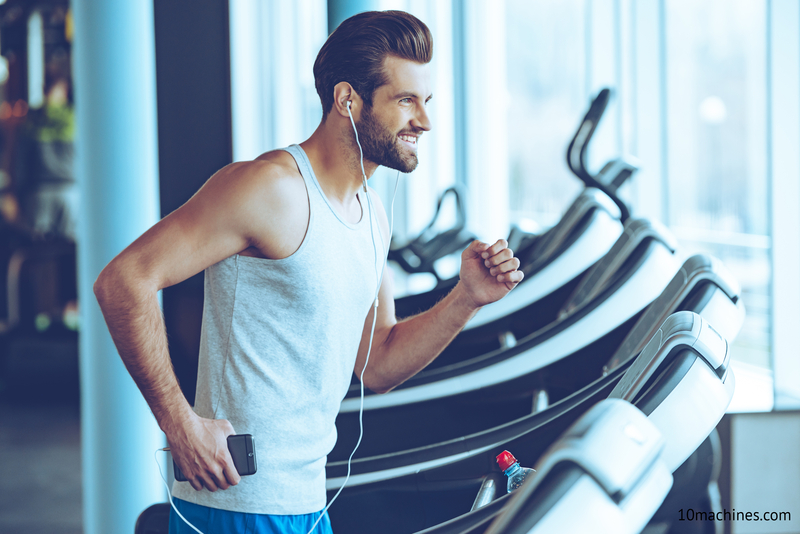 High impact workouts were just not for me; treadmills and stair machines might be amazing cardio and great for the legs, but I was in agony after even a modest workout. The virtually non-existent impact made rowing machines wonderful for the goals I was pursuing. As I said, good rowing is one of those rare workouts that combines muscle building with cardiovascular exercise. Your muscles get a serious workout moving against the resistance of the machine. It’s particularly great for the upper back, as it does the majority of the pulling. However, your legs can get into it with firm pushing motions, your arms can pull backward to assist the row by holding your legs and back in a fixed position, and you can even work the lower back by fixing the arms and simply leaning backward. It’s truly a multipurpose machine. The Cardio comes from the level of intensity you choose to set for your top rowing machine model. By rowing faster and more frequently, you can seriously build up the heart rate. This means in addition to building up your body’s musculature, you get the heart and lungs positively racing. This improves the quality of your breathing over time, and burns a truly outstanding number of calories. The only comparable low-impact exercise I know of for cardio work is cycling, and that doesn’t have as much of a whole-body muscular benefit as working out with a top-notch rowing machine. Another reason I like to use high quality rowing machines is that there is a very large rowing community on the web, and it tends to be very welcoming. Many rowers include very detailed and precise monitoring systems that allow you to track a number of valuable metrics; strokes per minute, distance over time, calories burned, heart rate per period, and other statistics still. Other users like to “compete,” either against themselves or against friends in amicable challenges. You can find advice on posture, routines, and techniques of all sorts, with people eager to help newcomers out and push them to be their best on the indoor rower machine. Additionally, rowing is simply a very accessible way to work out. There’s very little that’s as simple to get into as sitting down with a top rated rowing machine and performing a very simple rowing action. The workouts tend to be intense, but comfortable for a sustained period. If you want your heart pounding for a short while, yes, you will definitely get that out of an intense rowing machine exercise. On the other hand, if you just want something that will help you get in better shape but that you can do for an extended period while watching a show, rowing machine cardio is easy to adapt to this. A lower intensity workout over a longer period still burns calories. You will find a variety of top rowing machines at various gyms. Hydraulic rowers, water-resistance rowing machines, magnetic rowers; there are a host of best rower options, and I’ve done my best to include a variety of them in the comparison chart, discussing the pros and cons as I go. Our buying guide will help you choose the best rowing machine for home and apartment. As a final word before I dive into the comprehensive rowing machine reviews, I rated these best home indoor rowers in order of my personal standards, based on what the systems offered compared to both their own price and the features offered by the other systems. That does not mean my top rower choice is the one and only “best,” but rather what I preferred the most based on all these factors. Another system might be the best for you. Rowing machine Concept 2 Model D receives the Top spot among all the home indoor rowers. It’s because the Concept 2 Model D is the most commonly used rower used to submit benchmark results for recruiting and testing in rowing machine exams. When people want to show a result to a trainer or professional group, they use this highly popular rowing machine as the one they performed their test on. That’s a very serious recommendation. It is the best rowing machine for the money! I really like the design of the Concept 2 Model D rowing machine in terms of how it feels to use. The motions feel entirely natural, with none of the targeted muscle groups neglected during a workout session. The Concept 2 Model D rower uses an adaptive resistance system; the harder and faster I try to row, the more resistance it puts up. In addition, I can adjust the base resistance level of the flywheel so I can focus on fast reps or high intensity as I desire. Concept 2 Model D Indoor Rowing Machine features a PM5 monitor is also very easy to use. I find some monitors harder to read mid-exercise, but the PM5 is clear and easy to read while in use. It is a little tricky to adjust for updates on the go, but given the nature of the exercise, that’s going to be a problem no matter what monitor you use. The PM5 monitors the full array of vitals for any good rowing machine exercise. It tracks heart rate, calories burned in the workout, strokes per minute, and distance covered. This allows users to easily establish benchmarks for performance, and to track their progress toward important goals. Concept 2 Model D Rower does have some problems, of course. This thing is absolutely huge, taking up a big chunk of indoor real estate. For a smaller private home workout environment, this top rated rowing machine is going to have a serious space impact. For a large gym environment this is less of an issue, but home consumers should take extra time to consider how much space this wonderful rowing machine will impose. Further, the flywheel is actually distractingly loud. A good pair of best wireless headphones and a music player will mitigate this, but it is not easy to ignore without them. Without any doubt, Concept2 Model D Indoor Rowing Machine is the our best rated rowing machine. It’s still keeps the #1 position among the best rowers 2018 – 2019 comparison chart. Very solid rowing machine construction. Easy to use, with 3 minutes to set up and minimal maintenance required. Rowing range of motion is very wide, adapting to many body sizes. PM5 Monitor very convenient and informative. Warranty of rowing machine is quite comprehensive. Adaptable resistance means easy to control workout intensity. Basic money back guarantee only 30 days. For such an investment, this feels a bit thin, though that’s my personal opinion more than a common complaint. Massive amount of space required to use the Concept 2 model D indoor rowing machine. Seat is not comfortable at all, and extended use makes it worse. Probably requires investing in an after-market seat. Rowing machine fan is obnoxiously noisy. Verdict: The precision metrics, the industry trust, and the good reputation among users make Concept 2 Model D Rowing Machine an excellent choice for our top rower. The worst drawback is just how big this rowing machine is. BTW, I don’t recommend you to buy used Concept 2 rower. You may find some ads for used concept 2 model D rowing machine for sale but avoid buying it. Let me start this rowing machine review by saying that I absolutely adore the aesthetics of this model of indoor rower. 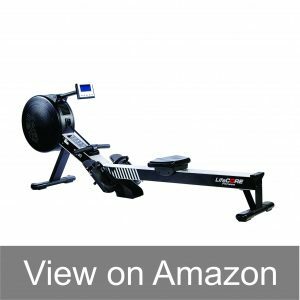 It is our #2 choice for the best rowing machines 2018 – 2019. The ash wood finish is just beautiful to behold, and the clever placement of the flywheel in the horizontal position “under” the machine, rather than vertically at the end of it, gives Natural Wood WaterRower Rowing Machine a compact look that’s unobtrusive and gorgeous. It is the best rowing machine for apartment. I mentioned that this is a flywheel design, and that’s something many popular rowing machines have in common. This is of a different type of rowing machine than our previous entry however, as the WaterRower gives away in its name. This top end rower uses a water-filled tank, in which the flywheel is contained. The WaterRower Rowing Machine comes with the S4 Monitor, a similar monitoring package to the PM5. The thing is, while similar, it has some drawbacks. The screen is much less clear and precise, looking a lot like a bad LCD clock face. It isn’t as easy to read as the PM5 design. It’s serviceable enough in rowing machine functions, offering similar metrics, but it just isn’t as easy to read while mid-exercise, and that’s a down point. It isn’t a deal-breaker, but it does disappoint somewhat. Just beautiful rowing machine to have in a home, much less obtrusive than other exercise equipment. Easy to assemble, and easy flip-over storage. Extremely smooth and comfortable rowing motion. Rowing Machine seat is extremely comfortable. Handles are very comfortable as well. Water flywheel allows intuitive, variable resistance. Water level easily adjustable for additional resistance control. S4 monitor can actually synch with computer to compare metrics to other best rowers. Also good for informing a trainer of your progress. The footrests seem a little flimsy, and might not stand up to heavy rowing machine use. S4 monitor hard to read. WaterRower is significantly heavier than it looks when filled with water. Heel rests on the foot pedals are actually pretty rough, and make it hard if not impossible to row without shoe. “The Stamina 15-9003 Deluxe Conversion II Recumbent Rower.” That name is definitely a mouthful, so I will call it the DC-II rowing machine for the sake of convenience. The DC- II is an interesting high quality rowing machine, being designed to offer two distinct workout types in one package. This isn’t rare in the world of workout machines – the legendary Bowflex workout machines are famous for offering a variety of different exercises in one stand. 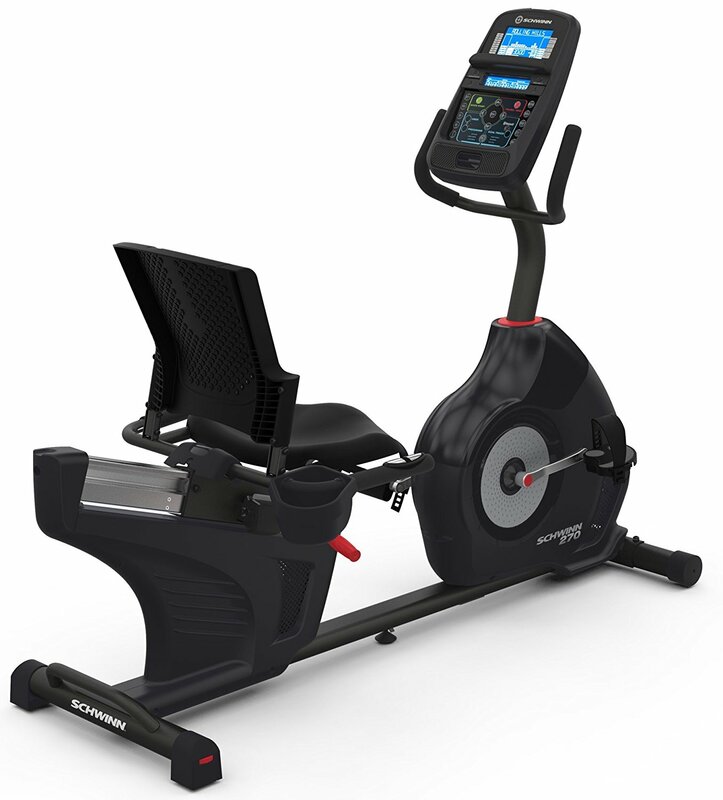 The Stamina 15-9003 DC-II rower only offers two, since both take advantage of the basic flywheel design. The core of the machine is a rower, as one would hope it is given the topic of this rowing machine review! However, it also comes with a pair of pedals mounted externally, meaning it can serve as a recumbent stationary bicycle as well. The advantages to this type of approach are obvious; a better rowing machine that serves two functions means it takes up less space than having a dedicated machine for each. 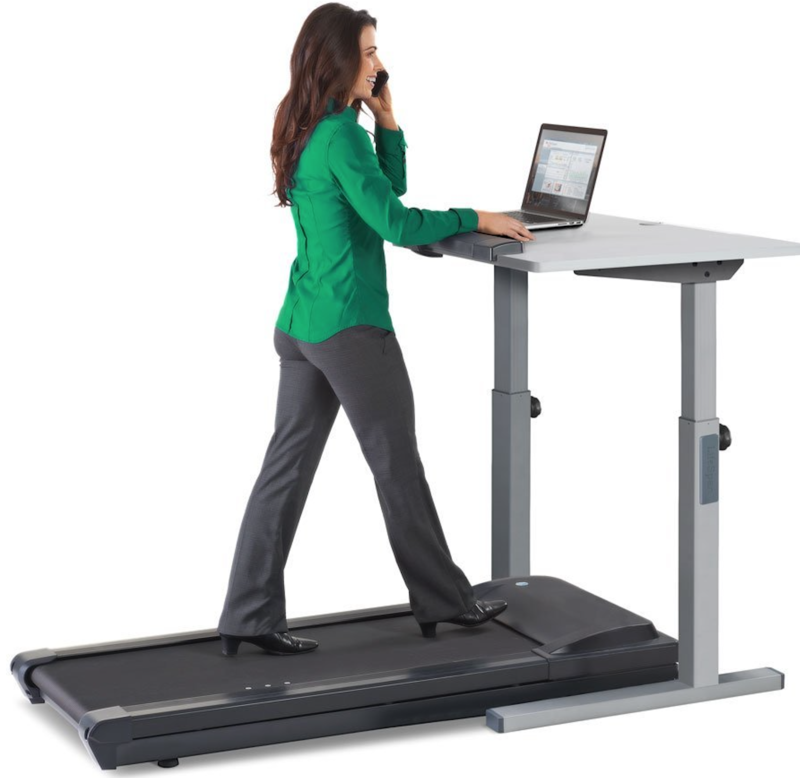 This saves money, space, and time spent switching between machines or stations. For most indoor rowing machine users, this has some clear benefits, and it will definitely appeal to a more casual “twenty minutes a day, three days a week,” style of fitness seeker. I do stress that it is for the less dedicated workout enthusiast, however. Machines do their best work when specialized to a particular task. The compromises needed to make a flywheel that supports both bicycling motions and a rowing machine motion mean it won’t excel at either. A competitive amateur or professional fitness buff will not find as much to love in this innovative rowing machine as someone looking for a convenient way to combine two workouts. The price of Stamina rowing machine is also a bit much for what you get, obviating some of the advantage of buying a combined machine. It is not awful, not enough to push it out of our top ten best rowing machines comparison table, but it did factor in to putting this at number 3. A great rowing machine for developing cardiovascular and muscular fitness. Adaptable to two different workout styles, saving space and money overall. Surprisingly comfortable for a fairly utilitarian design in other respects. Resistance of rowing machine is adjustable as you go. Multipurpose rower approach reduces benefit of the two exercises it offers. Not awful, but not spectacular at focusing on one exercise. Somewhat expensive rowing machine for the quality of workout it offers. Here we come to yet another type of popular rowing machine. 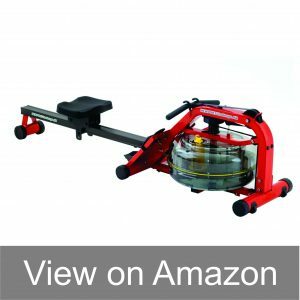 Many rowers use the flywheel design; a flywheel is a big wheel that gets turned by the mechanism of your rowing action. A belt or gear turns the rowing machine wheel as you row. Most provide resistance through air against the fan blades, the belt against the wheel, or through the wheel moving through water as a means of resistance. The Velocity Exercise Magnetic Rower CHR- 2001 once again gives the secret away in the name, offering a different kind of function. A drum magnet uses magnetism to resist the motion of the wheel. This is really a quite interesting and rather high tech approach to the use of rowing machines, as it counters problems with the other kinds. A rowing machine belt doesn’t wear out from running against the wheel. You don’t have to adjust water levels. You don’t have a noisy “fan” blade running through the air as the wheel moves. This typical rower is quiet, beautifully so. The sound of it operating is among the quietest I’ve ever used in my life. This of course does come at a price, and one you do not stop paying once you have purchased the mid-priced rowing machine. An electromagnet is a substantial energy draw, so you have to plug your Magnetic Rower into a wall outlet when you are using it. The power use is not tremendous, though you definitely should unplug the rowing machine when not in use. Velocity Exercise does fold up when not in use, and many people cite this as a nice feature. Personally, I am agnostic on the value of the fold-up. This highly rated rowing machine is still bulky and somewhat tall when folded, so it is going to take up substantial space somewhere. It is not exactly a flaw, and it may be convenient for your personal use. It simply not the obvious “pro” that people make it out to be. Very good quality of variable resistance, with 16 adjustable levels of intensity. Almost completely silent rower when working out. Sturdy yet light, with a 75 lbs aluminium frame. Decently functional workout monitor, that’s backlit for ease of viewing during workouts. Workout adjustments are very easily done with a button press through the monitor. Seat generously padded and comfortable. Constant passive additional price paid through electricity usage. Some other rowing machine reviewers have consistently cited defective rowers on delivery (I did not experience this in my time with the rowing machine, but it is out there). Max resistance levels not on par with those of higher-end water or air-fan, so not a “competitive” choice for a pro or dedicated rowing machine user. Stop me if you’ve heard this one, but how about a top rated rowing machine that uses magnetic resistance instead of water or air resistance? Crazy, right? Again, I’m having a bit of a joke, but the Stamina Avari Programmable Magnetic Exercise Rower (or PMER) is another magnetic resistance design like the Velocity design. I’ve gone into what makes magnetic rowing machine designs interesting, but there are some distinct features that I think really do make the PMER an interesting choice in its own right. Firstly, this high-end rower comes with a chest-strap heart monitor. Most exercise machines monitor through sensors in the grips, but I’ve found there’s something especially accurate about a chest-strap design. It’s right against the heart, so it can measure cardiovascular function and respiratory performance right at the source. Short of sticking electrodes directly into your heart and lungs, which I think we can agree is probably not the healthiest choice, this is in my opinion the best way to get accurate rowing machine results in relation to your body’s performance. Allow me to explain; if the resistance is adaptive, and increases based on whether you adjust the rowing machine and how intensely you row, the entire impetus for the workout is down to your own approaches. This makes it easy to get into ruts, or to cheat a bit by performing the same exercises. A magnetic rowing machine can adjust resistance during your workout routine, as the monitor can change the resistance on the go, as it were. This allows the PMER to store 12 different workout routines of its own, and 4 rowing routines that the user can design for themselves. I like this kind of programmable routine, as it lets me “switch off” my brain a bit and simply work through the rower routine without stopping to make adjustments. The Stamina Avari Programmable Magnetic Exercise Rower has the same drawbacks as other magnetic devices; it needs a constant power supply, it is fairly bulky to account for the magnets, and it is not quite as intense at the highest end as water or air rower resistance designs. Also, I find the rowing machine display a bit lackluster. The computer works very well as a monitoring device and the programmed exercises are a lot of fun. However, the display is curiously hard to read mid-workout for a backlit device. Nearly silent rowing machine operation. Variable resistance without having to stop your rowing exercises. Reasonable amount of space taken up for the performance it offers. 5-year warranty on the durable rower’s frame. I really, really don’t like the rowing machine seat. The texture is obviously meant to be non-slip, but it’s just uncomfortable, especially for guys with a tendency to bony rear ends, like me. Once again, multiple rowing machine users have complained about the Stamina rower not working on arrival, with defective monitors the most common problem. Very limited 90 day parts and labor warranty on this good rower is not a device you want to have serviced within 4 months of purchase. Speaking of various flywheel rowing types, this #6 best rowing machine is another I’ve mentioned but haven’t covered yet. 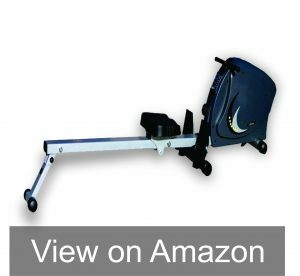 In LifeSpan RW1000 indoor rowing machine, the resistance isn’t provided by air, water, or magnets, but by that fourth type; direct motion of the wheel by the rowing strap. 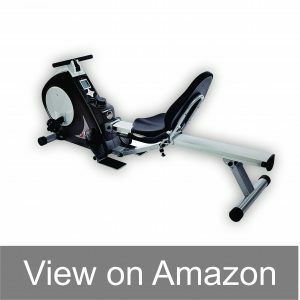 This low priced rowing machine offers a very simple design; your body does all the work of moving the wheel as you row. It’s a simple design, and not prone to breakdowns, kicking up dust that builds up on the wheel, and doesn’t need adjusted water levels. It’s a very straightforward, assemble and go sort of rowing machine. LifeSpan RW1000 rower isn’t quite as silent as the magnetic resistance models, and it doesn’t have the soft, pleasant “whoosh” of a water rowing machine. However, it is still very quiet, with a quiet little “whirr” of activity as you work out. It definitely isn’t a loud rowing machine, and I like any machine that isn’t distracting me from books or listening to Cheap Trick when working out. That said, no review is complete without an honest look at the problems in a device, and this nice rowing machine had a few I noticed. First, the LifeSpan RW1000 rowing machine max user weight is set at about 300 lbs. Now, with the average male weight somewhere around 200 lbs, that is not a huge problem. However, rowing machine exercises are some of the best exercises for people who are seriously overweight to lose the pounds. It is virtually non-impact, so it is great for people who have joint issues and similar problems that come from excess weight. This low threshold puts this top rower out of the running as a weight loss machine for people seriously overweight, and that is a problem worth noting. The other rowing machine issue is that the choice of a fairly modest cloth strap for the rowing mechanism is not the best, to my mind. Since it is acting directly on the wheel constantly, it is very likely to wear out with extended use. Since this is the central function of the rowing machine, it does give me a bit of pause. This indoor rowing machine is not going to fray and snap in even a year of use, but it does put a definitively shorter max lifespan on the machine than a sturdier choice would have. 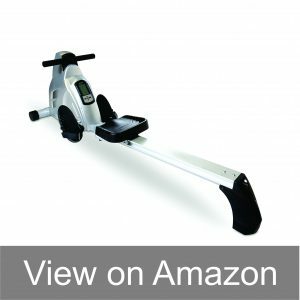 It is the best rowing machine on budget and offers better value for money in the long run. Very easy to use, with no extra power or “fill up” considerations required. Very good warranties, with 5 for frame, 2 for parts, 1 for labor. Monitor system quite basic, with no active monitoring equipment for the user’s vitals. Pedal straps kept coming unsecured, stopping the workout as I re-secured them. Poor long-term choice of pull-chain strap in using cloth. Somewhat low max user weight. I’m not going to lie, when I first saw the First Degree Fitness AR Water Rower I asked my friends, “Did someone order me one of those fancy vacuums?” The rowing machine looks so unusual, with its bright primary colors and very prominent water tank. That said, I did grow to like the aesthetics of First Degree Fitness Water Rower. It’s got a distinct rowing machine look, that doesn’t apologize for being unconventional. Of course, that wouldn’t matter much if the #7 best rower didn’t work well. I’ve seen a lot of rowing machines that looks great but wimps out in the end. Fortunately, that was not the case here. I really quite enjoyed the AR Water Rower. Like the title says, the First Degree Fitness AR is a water-resistance rowing machine, and uses a similar low-situated, horizontal water tank to the WaterRower we discussed earlier. It’s a much more prominent rowing machine, however, with a much more robust looking metal frame. 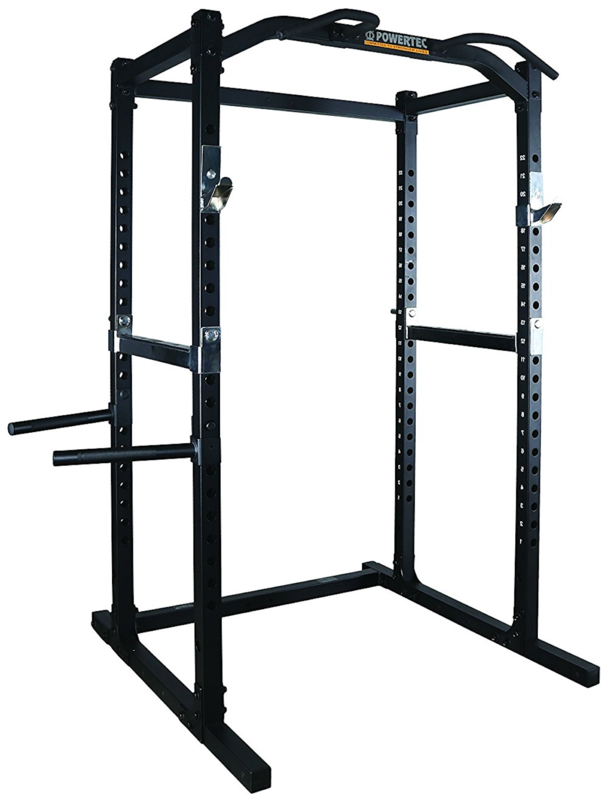 You can flip it and easily store it, but it’s a substantial rower even in a vertical posture. This is an idol in the Iron Church, and it deserves a dedicated space. Also, it may sound odd to compare Fitness Degree AR Water Rower to other water rowers because water is water, but I quite liked the sound of the rowing machine as I used it. It is a bit noisier than the Natural Wood WaterRower Rowing Machine, but the sound just sounded so natural I ended up enjoying it. It sounded like I was genuinely rowing. I also appreciated the USB connectivity for computers running fitness apps, allowing easy connection to my online monitoring of my workout. There are some quirks of rowing machine I was not as fond of, of course. Water does provide a degree of dynamic resistance, but eventually you have to adjust a dial to increase or decrease the resistance levels to suit a workout. This would not be so bad, but the change in resistance lagged a bit; it frequently took up to a minute for me to feel the change in the resistance levels, which threw off my rhythm a bit. That said, this #7 top rated rower is a comfortable ride and the fixed footing surfaces meant balance problems never plagued my rowing. Very comfortable, natural feeling rowing ride. USB and app support for monitoring. Substantial max user weight capacity. Long Warranty for Rowing Machine. Nicely priced for a water-resistance rower. Weird delay in rowing machine resistance changes. On-board monitor a bit basic. Rather light max resistance for a water-rower, disappointingly so in the end. A lot of the Best Rowing Machines choices above have mentioned that they’re more for the average user than for the dedicated fitness enthusiast. That changes with the Lifecore R100 Commercial Rowing Machine. The Beauty of the rowing machine is that it is made for people who are serious about their rowing for one reason or another. The maximum weight threshold for this #8 top rated rowing machine is 600 pounds for a user! I don’t believe there are any users who DO weigh that much in the end, so no matter what your weight situation, this glorious rowing machine can handle it. As I’ve said, since rowing is an excellent choice for people who want to shed pounds with low-impact exercises, that makes this superior rower a very attractive contender. Lifecore R100 Rowing Machine offers some very strong resistance at its higher settings, meaning it will definitely challenge people at the higher end of their workouts. This is very good, as it means the high quality rowing machine will give good service for a longer period than machines with a lower maximum intensity. This does come with a weird drawback. It felt like the basic rowing speed was slower than with other top rated rowing machines. Normally this would not be a problem, particularly if the goal is to lose weight. However, compared to a high end rowing machine like the Concept 2 Model D, it just feels odd. 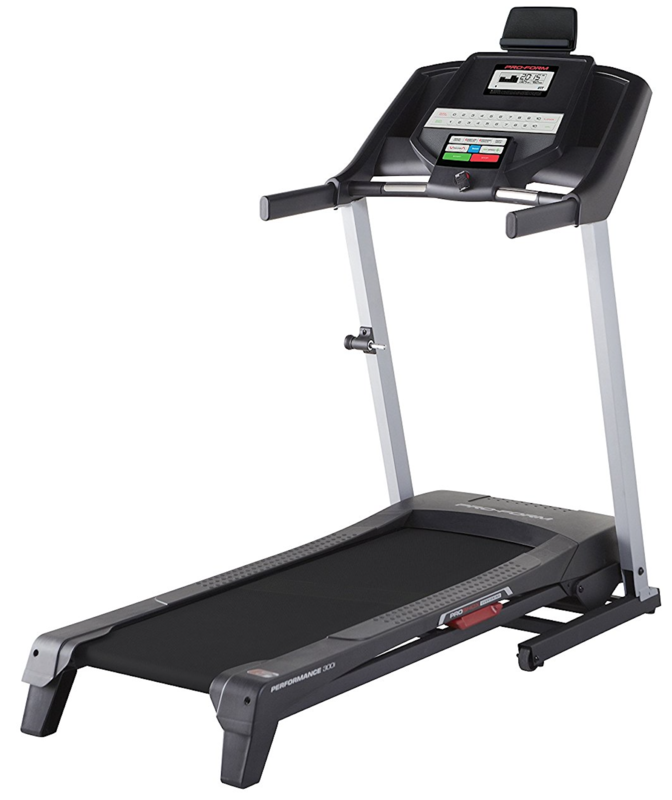 The Lifecore R100 rower accommodates a very large foot size, up to 14 size shoes, with very little trouble. The foot pads are a bit awkwardly placed, making extended rowing workouts perhaps a bit uncomfortable, but bearable. Weirdly, the Lifecore R100 is a dual-mode resistance rowing machine. It uses a combination of unpowered magnets AND an air-resistance fan blade system. 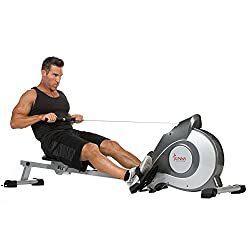 This rowing machine has some nice advantages, primarily that you get the benefits of magnetic resistance without having to plug it in, and you get the dynamic resistance of a fan in that more intense rowing produces more intense resistance. On the downside, the indoor rower is just as noisy as other fan-based rowing machine designs. Backlit, easy to read and use monitor and exercise program. A noisy rowing machine design. Footrests can pinch at the heels, and are uncomfortable in extended rowing workouts. 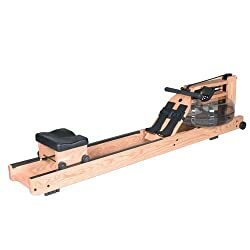 Very pricey rower, putting it out of the casual user’s range, and even pinching some more dedicated users who don’t want to wreck their wallet. I take back my earlier joke about rowing machine names that are a mouthful. The Sunny Health & Fitness SF-RW5515 Magnetic Rowing Machine (which I will call the SF-RW5515 from now on) is just a terrible name. I know this rower made to my list of top 10 Best Rowing Machines for 2018 – 2019, but I can’t lie, Sunny Health & Fitness pick awful names for their products. It’s fair to say that it’s the best inexpensive rowing machine for 2018-19. That said, the #9 best rower itself is far from awful. Previous rowing machine models had a very…so-so reputation. They weren’t bad, but they had enough flaws that made it pretty easy to pass them over in favor of other better rower models. It isn’t hard to guess why, the rowing machine designs Sunny Health & Fitness offer are budget-priced, and in exercise equipment, you frequently get what you pay for. In the case of the SF-RW5515, however, you do get a bit more than you pay for, as I like this little magnetic low priced rowing machine for what it is. 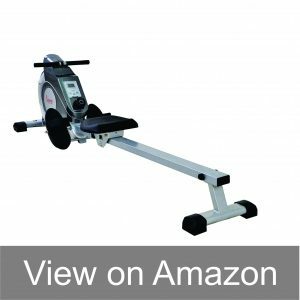 Sunny Health & Fitness rower offers a decent range of resistance modes, it doesn’t require constant power to its magnet, and it has a very solid feel with an all-steel construction. The budget rower does have its flaws. The maximum user weight is back to 300 lbs, so if you are seriously overweight, or if you have bulked up through weight training and want a durable rowing machine, this isn’t the device for you. However, the people this rowing machine is for are the more cash-strapped home users. 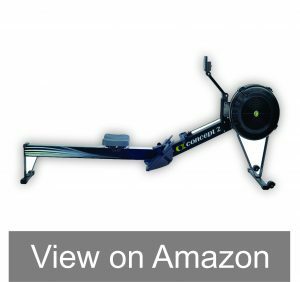 This #9 top rower pick offers a comparable workout experience at the beginner or casual levels, at a modest fraction of the price. Perhaps the best way to explain it is that with the Sunny Health & Fitness SF-RW5515, you don’t “lose” other rowing machine features so much as trade them. You’re trading a high end monitor, dynamic resistance, and active monitoring for a simple, easily affordable rowing machine. Simple, easy to use display monitor. 8 Resistance levels adjusted by dial. Fairly easy to store rower and transport. Extremely, pleasantly affordable rowing machine. Consistent rowing performance due to magnetic resistance. Magnetic resistance is “stiff” meaning it’s harder to practice for timed, fast rowing. Low maximum user weight. Still good overall, but not an option for the large. Relatively cheap velcro on the footpads, leading to frequent rower adjustments. Noisy both in terms of the flywheel, and the seat slide. Seat surprisingly hard and uncomfortable with extended rower use – invest in some manner of extra cushion for the seat, or an after-market replacement. At last we come to the final type of rowing machine category, the hydraulic type. The Kettler Favorit hydraulic rowing machine falls into this category, and I include it for the complete range of options. Hydraulic machines use hydraulic pistons to achieve their action. There are better places than this best rowing machine review to go into how they work; suffice to say they are relatively simple and tend toward the inexpensive side of the table. Kettler offers a series of fairly affordable budget rowing machine options, and their Favorit is intended to be such a design. It’s a comfortable fit for most wallets for the rowing machine. It isn’t quite as cheap as the SF-RW5515, but also isn’t going to wreck your credit rating. What I liked best is that Kettler Favorit hydraulic rowing machine is a very comfortable ride. The top rower grips are well designed and pleasant to use, the seat is quite comfortable to sit in, and the sliding motion of the seat along the central bar is surprisingly smooth for the rowing machine price range. However, there are of course considerations that must be observed. A common problem with hydraulic rowing machines is that as the fluid in the chambers warms up, particularly with intense use, it tends to become less resistant. This means that just as I would hit my stride, the resistance level would drop off, rather than increasing or remaining steady. This can throw off a rowing workout routine for sure. The other issue is that Kettler rower has the lowest max weight support of any of the best rowing machine models I have reviewed, topping out at about 275 pounds. Honestly, since I weigh 270, this caused me some worry. I did not notice any problems with this mid-priced rower, but I could sense that it was near capacity as I used it. It is one of the best rowing machine for seniors. Hydraulic operation is quite quiet, on par with a magnetic flywheel system. The Kettler rowing machine is very compact at just 52″ in length. The monitoring system is actually wireless compatible, for more active monitoring of your vitals. The seating and central rowing motions are very smooth and comfortable. Criminally low maximum weight for rowing machine user. 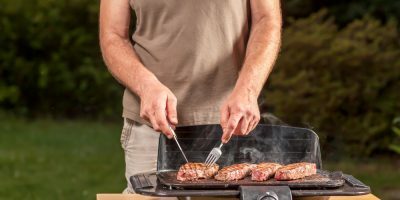 Jerky resistance changes at high intensity. The Verdict: I would rule that this is not in any way the best rowing machine for the dedicated, high intensity trainer. It simply isn’t. Kettler Favorit is a good rowing machine for those who want a smooth, simple, and steady workout as part of their daily routine. There are a number of considerations that I touched on in the best rowing machine reviews above, so I figured I’d recap some of them here in the rower buyer’s guide, so that you know what to look for when you’re shopping for a good rowing machine. What do you want out of your home indoor rowing machine? Do you want to train for rowing competition? Then you will probably prefer something more precise like the Concept 2 Model D Indoor rowing machine. 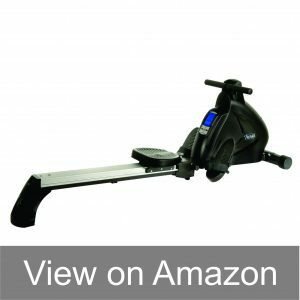 On the other hand, if you want to experience the best rowing machine workouts for weight loss but don’t have a massive amount of money to spend, a product like the AR or even the SF-RW 5515 home rower might be a more sensible choice for your needs. Look at your personal goals, and see how each of these top rated rowing machines might benefit you before selecting one. Are you a data-junkie? Do you just LOVE breaking information down as fine as possible? Then you want to search for a rowing machine with precise, more active monitoring panel. On the other hand if you just want the basics, then you don’t have to pay attention to what kind of monitor you’re using on rowing machine. 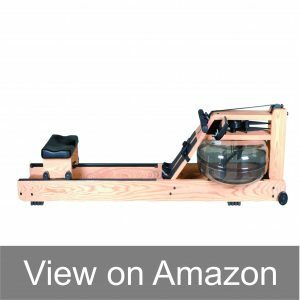 Maybe you simply want a quiet rowing workout, which means you want a water rowing machine or magnetic system, most likely. Pay attention to the extra best rowing machine features, and not simply the core promises. A workout is much more than the exercise, it’s an entire experience and what works for someone else, may not work for you. When checking out the special rower features, you will probably figure out the top rowing machine technique as well. 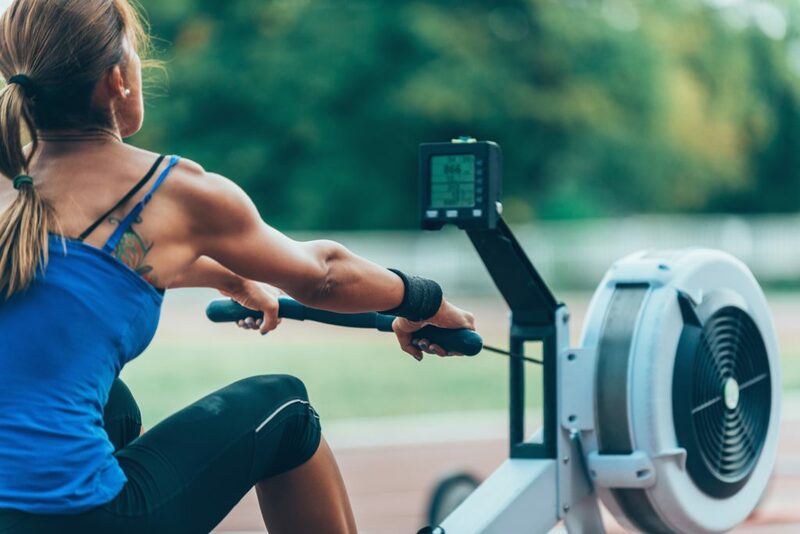 Some of these top rated rowers offer programs that change the resistance of the rowing machine for you, and some require your own input to make adjustments. Do you have a plan in mind and intend to follow through on it? Then you won’t need to consider a rowing machine that changes the workout routine for you. On the other hand if you find yourself in need of help, the ability of a superior rowing machine to change resistance on the go may help you achieve your goals. A popular thread on reddit called “best rowing machine reddit” also seems to agree with my opinion. My Dad used to tell me that you should look at a man’s house and see what he’s made room for. Did the things this man had fit sensibly into his life? It wasn’t about making room for the biggest things, but rather finding things that fit into his life and made it better. Don’t feel that the biggest rowing machine you can fit into your place is automatically the best. The Concept 2 Model D indoor home rower may be the industry standard for competitive rowers; that doesn’t mean it’s the one that fits into your life. Select the best rower that can easily and comfortably fit into the living space you have. You’ll be using this rowing machine for a long time, hopefully – you want it to seem a natural part of your life rather than an intrusion. Fortunately, the Concept 2 Model D is the best rowing machine for home that can easily fit in compact apartments as well. This isn’t as simple as it might sound, of course. There isn’t a service bringing a series of best rated rowing machine comparisons to your house at an affordable price. Even taking advantage of 90-day money back periods can be difficult, as you still have to have the rowing machines delivered, assembled, and used before you can send them back (which of course requires disassembly and repacking). Still, there are ways to go about it. Get to your gym and try out different kinds of rowing machine models if available. Go to fitness stores and ask to try out the best quality rowing machines. Compare and see which top rower picks feel the best to you, and work with your exercise goals. So there you have it, my top 10 Best Rowing Machines for 2018 – 2019. I hope that you have a chance to try out some or even all of these best rowers in the world like I did. 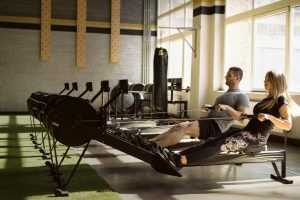 I found the rowing machine experience rewarding and interesting, and I would love for you to have the same chance as well. Cheers! The Concept 2 Model D is really the king of all rowers. But, you did not review the Model E from the same manufacturer? What’s the actual difference b/w these two? Concept E is supposed to be the NEW with advanced features, right? By the way, I compared features of these two models and can’t find any significant difference. The only greater difference I found was the price. So, I am placing order for Concept 2 Model D just because of its lower price and better value for my money. You are right about the price thing and Model D providing better value for the money. We did not review Model E because we only review the best model from each rowing machine brand. The model D is the BEST when it comes to choosing the best rowers. It is made of Aluminium and carries lower weight as compared to Model E. The Concept 2 Model E is welded steel and thus carries more weight. Aluminium is far better metal than steel and is more solid. There is also difference in aesthetics due to paint coat finish in both machines. The model E seat position is also a bit high as compared to Model D.
In short, there’s a very little difference between both machines. The Model D may seem old but it’s better than E in terms of construction and overall use. We are glad that you made the right choice! I hope this machine will serve you well. I live with my wife in a small studio apartment. 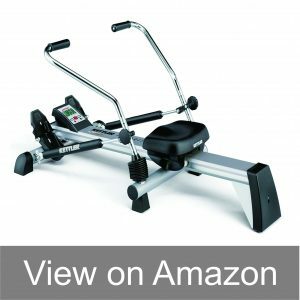 Can the Model D rowing machine easy to fit in a small room? My and my wife are really looking forward to buy this machine. We both are getting fat and need something for regular workouts at home. You know how small studio apartment are, so just need little bit more info on the size of this machine. The review is pretty neat. I loved the videos at the end of each review. The Concept 2 Model D is the best rowing machine money can buy. However, for a very small apartment, we would recommend you to buy the WaterRower. It’s easy to fit and fold when not in use. It also takes considerably less space to fit into small apartments like yours. We appreciate your kind feedback. It motivates us to do more research and deliver better value in our reviews for the visitors. I want to lose weight with rowing. Treadmills, bikes or lifting exercises are somewhat boring and I hate them for a reason. I tried rowing at a friend home and looking forward to buy me a nice rowing machine. I looked at the models above and Sunny health & fitness suits my budget for now. I want to know if it’s a durable machine and won’t break down in a few months. The price tag is really small compared to others and that’s something that worries me. Because low priced equipment do not usually come with reliable warranties. The Top 2 rowing machines in our comparison chart here provide the best value for your money. These are also the top selling rowing machine models among all the 10 rower brands we reviewed. If you are on low budget, you can go with “Sunny Health and Fitness” but you’ll have to compromise on quality. 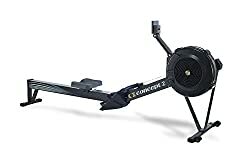 If you are serious about rowers and want to use a reliable home rowing machine in the long run, we recommend Concept 2 Model D or Water Rowing machine. Their price tag is relatively big but they offer the best warranties in the market. Also rowing machines are perfect exercise for weight loss and toning your muscles.